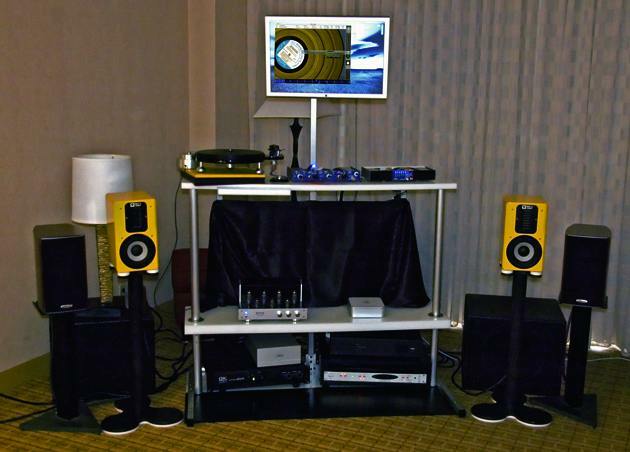 Read the full review in the August, 2010 issue of Stereophile, appearing on newsstands now; or purchase from Zinio. Note: this comparison was accurate as of the date it was posted. The feature set of the other player was changed in a newer release, and an up to date comparison can be found here. Feature Pure Vinyl (iTunes Music Server) Player "A"
High Quality, Real-Time Upsampling Yes (64 Bit Internal Resolution; Defeatable; up to maximum supported DAC sample rate). Click here for technical information regarding the quality of our real-time upsampling. Recording / Vinyl Archiving / Editing Pure Vinyl Player "A"
RIAA Filter Type First Order, Precision 3 - Corner, Continuous IIR Type, 64 Bit. Click here and here for technical information regarding the quality of our RIAA compensation filtering. Other Pure Vinyl Player "A"
Information obtained from software documentation (and developer input, if not already available in current documentation). * For reference, Adobe Photoshop CS 7 is 45 MB. Pure Vinyl was designed and built from scratch, for the specific purpose of two channel recording and playback, and does not contain unnecessary parts (such as support for "up to 48 tracks of real time audio," according to the developer of the other application). 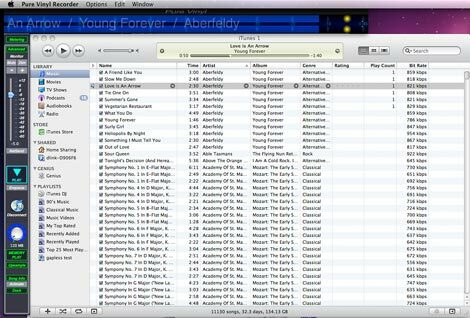 *** Both the Player software and iTunes are playing the track at the same time, so the computer is doing twice as much work. 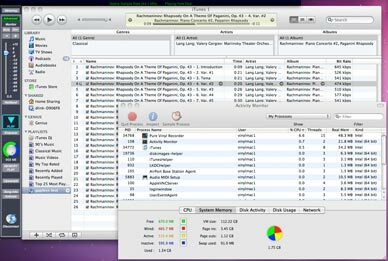 (It doesn't matter that the iTunes volume is turned down, iTunes is still playing the file in tandem with the other player, placing extra burden on disk or network I/O and the CPU.) "Playlist Mode" circumvents this problem, but direct iTunes playlist interaction and control is not possible in this mode, which also requires performing additional steps (selecting a playlist or a group of songs, then activating Playlist Mode), which is unnecessary with Pure Vinyl's design. 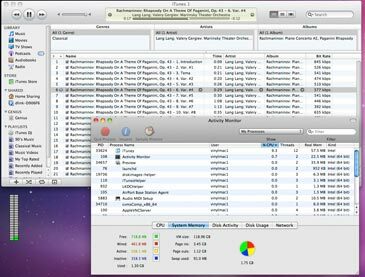 Real-Time upsampling doesn't require wasting time or disk space for creating duplicate versions of audio files, and allows immediately making A/B comparisons between native and upsampled playback. A "comparison of playback engines," regarding sound quality, is not made above. The table provides a comparison of features. A published assessment of "playback and sound quality" can only be subjective. If sound quality, performance, and usability may be determined easily by auditioning a downloadable demo, why rely on someone else's opinion? A published review can provide valuable guidance. But when the final decision on purchasing the product can be made in the comfort of one's listening chair, without first making a financial commitment: that's the beauty of software. Pure Vinyl Preview Release 3 may be downloaded here. *Automatically works with third party iTunes remote control and automation software and hardware...! 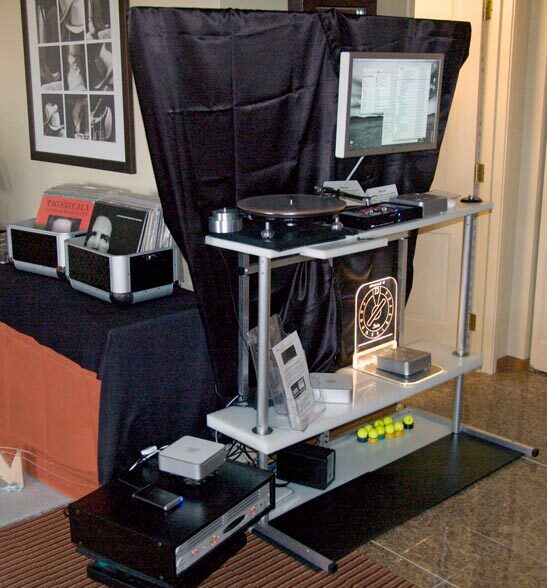 Channel D announced today that it will be showing its long awaited Seta Vinyl Music Server package at the 2009 Rocky Mountain Audio Fest in Denver (Room 2024), October 2 - 4, 2009. Robert Robinson, Channel D's Director of Engineering, said, "Potential customers for our Pure Vinyl LP playback, editing and archival software, which also functions as a high resolution music server, have expressed frustration at being overwhelmed by the plethora of choices in audio hardware for configuring a music server based on Pure Vinyl." "In response, we have assembled a custom-tailored, turn-key package that takes the guesswork and grunt work out of using Pure Vinyl, providing the very best that both digital and analog have to offer. This package also leverages our unique position in the audio industry, with extensive expertise in both audio software and hardware design, to offer unsurpassed, end-to-end solutions linking vinyl playback with high resolution digital music reproduction." 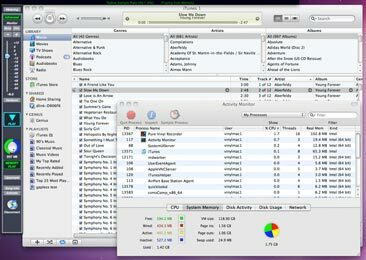 The music server hardware offers multiple inputs and outputs, and includes an energy efficient and silent Macintosh Mini computer, running the brand new Mac OS X 10.6 Snow Leopard operating system, fully configured and ready to go - this just involves connecting a turntable to the inputs of the Seta preamplifier. The Seta's analog outputs go to an analog line preamplifier; the Aurora analog outputs also directed to a preamplifier for monitoring, or even connected directly to the audio system's power amplifiers. If running a subwoofer, Pure Vinyl includes a built in, fully configurable stereo crossover running at 64 bits of internal resolution to support multi-amplifier audio systems. The included Pure Vinyl software, besides featuring Channel D's "revolutionary" (United States and international patents pending) animated vinyl image generator, used for both eye candy and the useful task of editing vinyl tracks transferred at high resolution digital (up to 192 kHz 24 bits), also can be used as the basis of a music server setup. The Pure Vinyl music server is based on familiar, easy to set up iTunes playlists, but its relationship with iTunes ends at that point. Pure Vinyl bypasses iTunes for audio playback, using Channel D's proprietary 64 bit audio kernel, which shines from the benefit of a 6 year development period. The audio kernel performs automatic sample rate switching, gapless track playback, and optional ultra high quality, on the fly sample rate upconversion to 176.4 or 192 kHz, as supported by the Aurora (the choice of sample rate is decided by the user). A memory play mode is available in Pure Vinyl for gapless playback of CD quality tracks for over one hour before the software must re-access hard storage media. With an optional internal SSD (solid state drive) in the Mini, all playback essentially can be performed entirely from solid state memory, even at the highest resolution (192 kHz 24 bit). For vinyl, the server includes a Channel D Seta Nano balanced, ultra wide bandwidth phono preamplifier (DC to > 9 MHz, unprecedented for a phono preamplifier) for low noise, ultra high fidelity LP playback. 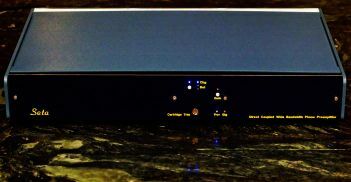 The preamplifier includes balanced "flat" outputs for use with Channel D's Pure Vinyl software RIAA compensation (including dozens of built-in antique correction curves, as introduced in an earlier version of Pure Vinyl) plus internal, conventional, precision (� 0.1 dB) hardware RIAA correction, for direct connection to an analog playback system, preserving an all-analog signal path. The elegant design of the Seta Nano complements the appearance of the Macintosh Mini computer, which is very popular among users of Channel D's Pure Vinyl software. Channel D Seta Model L or Model H phono preamplifiers are available as upgrade options. Accordingly, and as explained above, Pure Vinyl provides a single point of integration for playback of all analog (including LP, tape, analog radio) and digital music sources, as well as complete integration with the audio system (via Pure Vinyl's crossover and multi-amplifier features). The input and output hardware of the Seta Vinyl Music Server features the widely acclaimed Lynx Aurora Mastering Quality audio interface, supporting high resolution sample rates up to 192 kHz / 24 bits via a single FireWire connection. The Aurora has a full complement of analog and digital inputs and outputs (32 total channels). 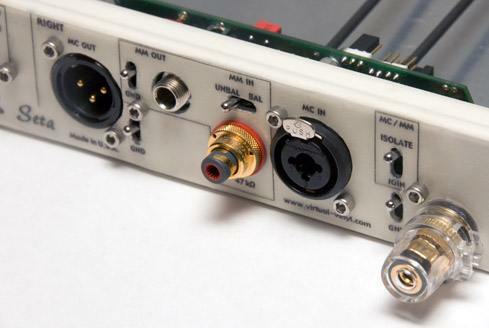 Extra analog inputs can be used for other analog sources, such as tape or FM radio. 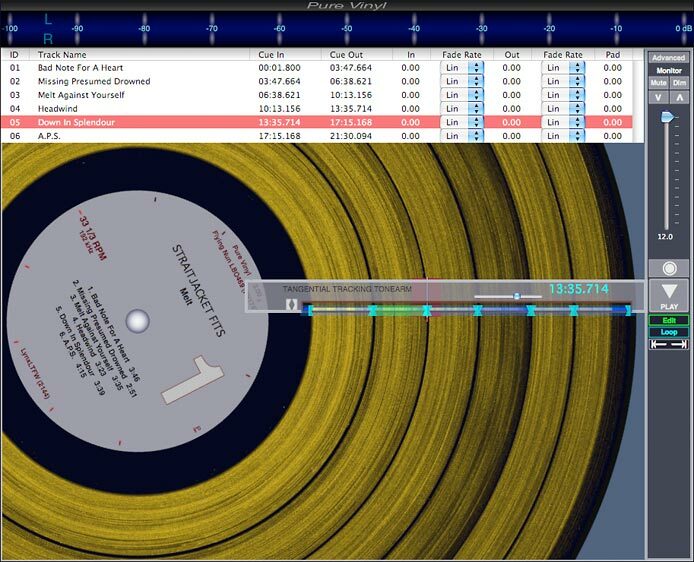 The Pure Vinyl software is used to switch among the different inputs. 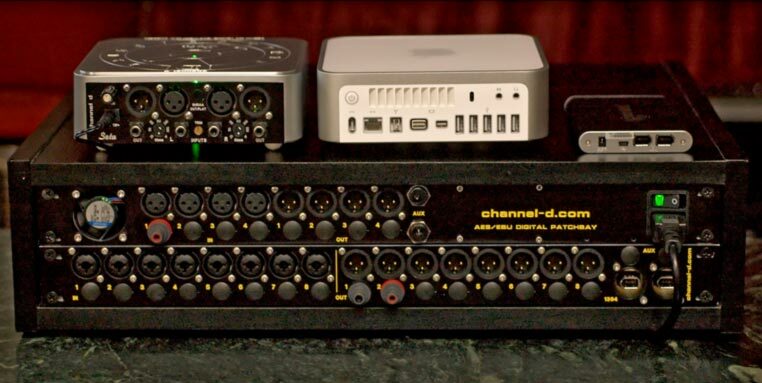 Thus, the audio interface and software combination serve as a virtual multi-input line stage preamplifier. 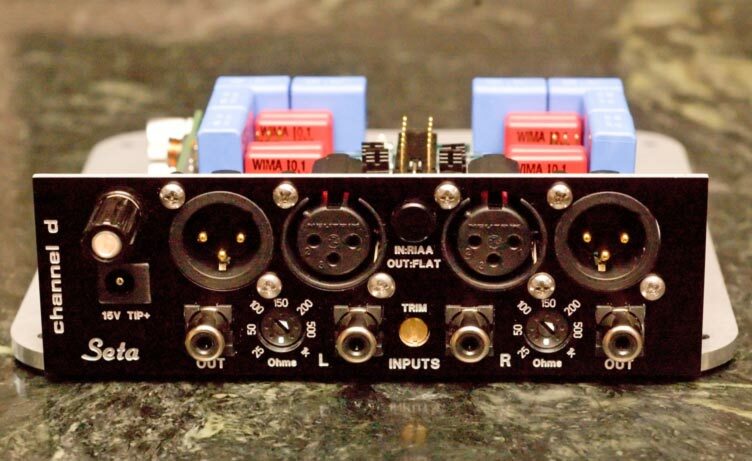 The extra audio outputs can be used for multi-amping as mentioned above, or for music distribution. (Pure Vinyl also includes a NetSend music distribution feature for distributed audio over Ethernet and includes acoustic propagation delay echo cancellation, a feature not included in other music distribution systems). 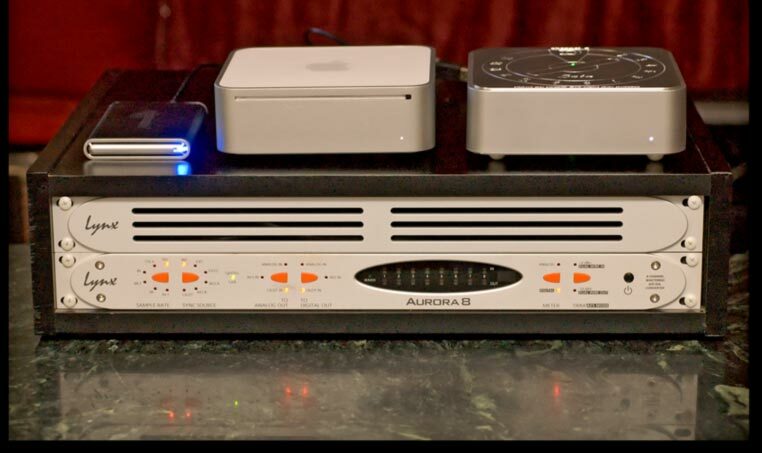 Finally, the Aurora includes 8 (as 4 stereo) AES/EBU / SPDIF digital inputs (up to 192 kHz) for connecting external digital sources such as CD players, and 8 digital outputs for connecting external DAC(s), if desired. 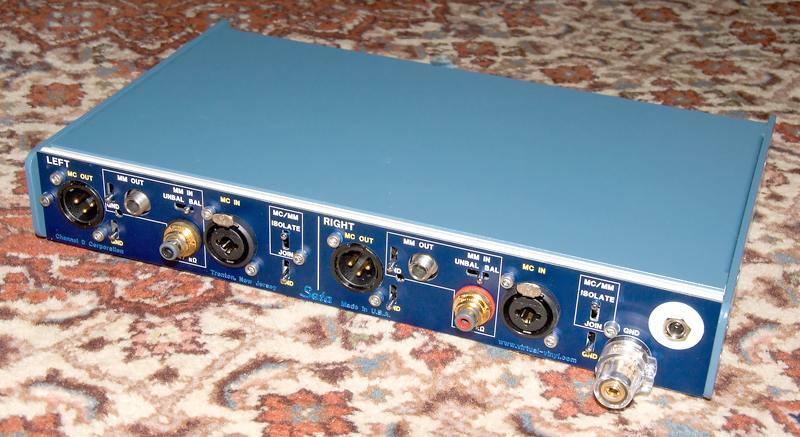 The Aurora, if used with digital input sources, provides proprietary, high quality jitter suppression. The rear of the server includes a panel that provides easy access to all inputs and outputs. For external music storage, a 500 gigabyte pocket drive is included, enough for over 200 full length archived LP records, saved at 192 kHz 24 bit resolution, in a package only about the size of a deck of playing cards. The music storage capacity can be expanded without limit via optional plug-and-play NAS drives. Pricing for the Seta Vinyl Server will be announced, and includes installation and setup, performed at the customer's premises by a Channel D representative. 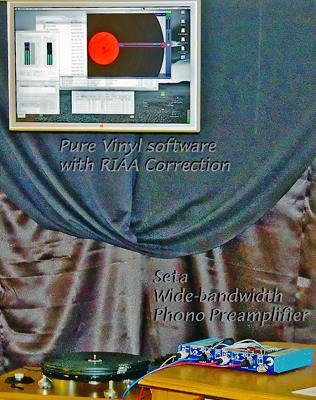 Seta Model L / Model H Phono Preamplifiers, now with optional internal hardware RIAA correction! Channel D's ultra low distortion, ultra wide bandwidth Seta Model L and Model H preamplifiers are now available with an internal RIAA correction option (simultaneous Flat and RIAA outputs, both balanced; plus single-ended RIAA), for audiophiles insisting on an all-analog signal path. External (rotary selector switches on rear panel) cartridge loading adjustment is now a standard feature. 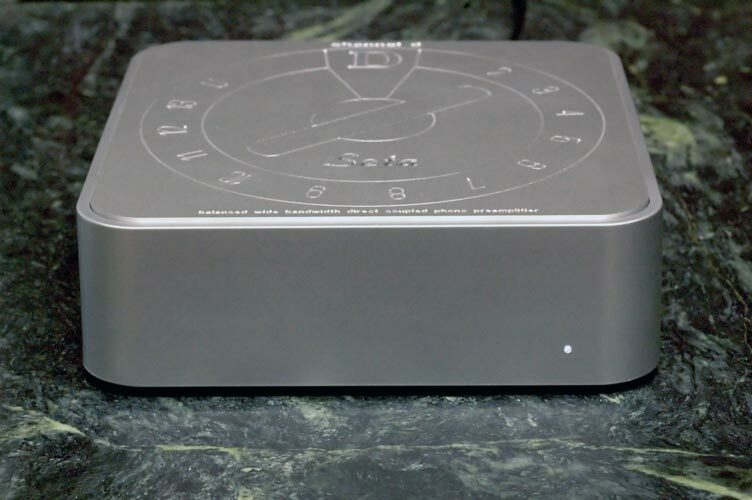 The new ultra wide bandwidth Seta Nano Phono Preamplifier. Now shipping. The signal bandwidth of vinyl records is much wider than the 20 Hz to 20 kHz response of human hearing (not to mention digital compact discs), particularly apparent in recordings of brass, string and percussion instruments. Signals above 20 kHz cause trouble for typical narrow-bandwidth phono preamplifiers, resulting in intermodulation distortion that can produce a noticeable hardness and veiling of the midrange, which is very distracting to music listening. The wide bandwidth design also eliminates problems associated with the application of negative feedback (used locally and sparingly in the Seta Nano) for distortion reduction, because the internal delay of the Seta's circuitry is extremely short: measured in nanoseconds. Finally, the audibility of one of the most maligned deficiencies of vinyl, "pops and clicks," can be exacerbated by the design of the preamplifier. Transient signals caused by the stylus striking a scratch or foreign object in the groove have a fast risetime and large amplitude, unlike any musical signal. The fast risetime can cause slewing distortion in traditional narrow bandwidth phono preamplifiers, magnifying the audibility of pops and clicks. Click here to download a copy of the Seta Nano user's manual. 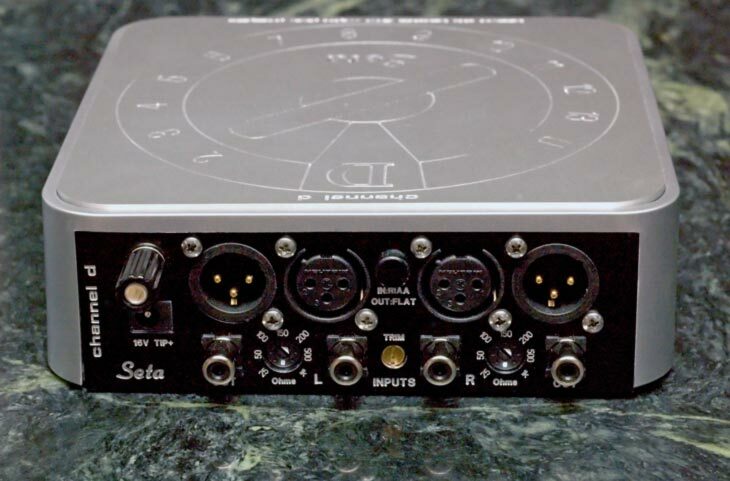 Click here for more information on the Channel D Seta phono preamplifier line. Photo of the rear panel of the new Seta Nano, sans outer enclosure. A culmination of all we've learned from developing our Seta phono preamplifier line, at a significantly lower price point! Leveraging Channel D's unique combination of expertise in both audio software and audio hardware design, the new Seta Nano represents a key component solidifying Channel D's unsurpassed, end-to-end solutions linking vinyl playback with high resolution digital music reproduction. Shipping August 19, 2009! Full Specifications, Features and Pricing to be released at that time. Pure Vinyl 3 Preview Release 1 Now Available! Pure Vinyl Named as Stereophile Recommended Component (Computer Software). 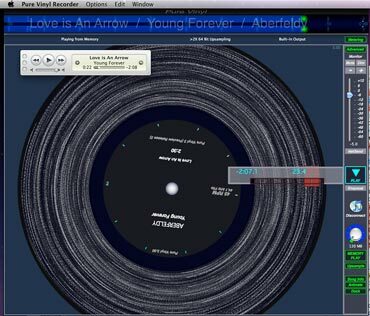 Included in the article is a screenshot of the forthcoming Pure Vinyl 3, showing the new feature for optionally incorporating scanned or photographed label art onto the "virtual vinyl" image. As a newly authorized Lynx Audiophile Dealer, Channel D will be offering ready-to-go packages featuring our revolutionary Seta preamplifier, coupled with the widely acclaimed Lynx Aurora 8 professional quality 192 kHz 24 bit FireWire / Analog / Digital audio interface. These audiophile packages may optionally include a Mac Mini or MacBook Intel Core 2 Duo processor computer, pre-configured with Channel D Pure Vinyl software for RIAA correction. Just plug and play with your turntable and audio system! The availability and configurations for these turn-key, simple to set up plug-and-play packages will be announced. Pure Vinyl 3 is scheduled to ship 1st Quarter 2009. Features include closer integration between recorder and editor, a completely rewritten editor, and much more. Pure Vinyl 3 will be a free upgrade for all Pure Vinyl users. Click image for larger screenshot. Click here for major new features, compared to Pure Vinyl 2.3. Seta Model H and Seta Model L Wide Bandwidth Balanced Phono Preamplifiers Now Shipping! 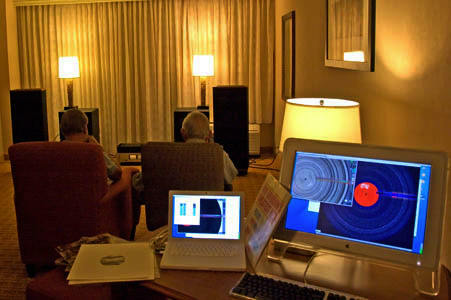 (Above) Photo of our audio demo at Rocky Mountain Audio Fest 2008. 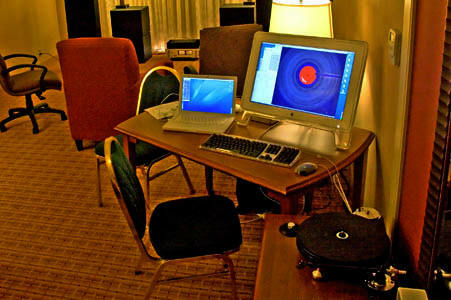 In 2008, we decided to use accessible (in price) loudspeakers to demonstrate the high quality of vinyl source material and Pure Vinyl's software RIAA correction. 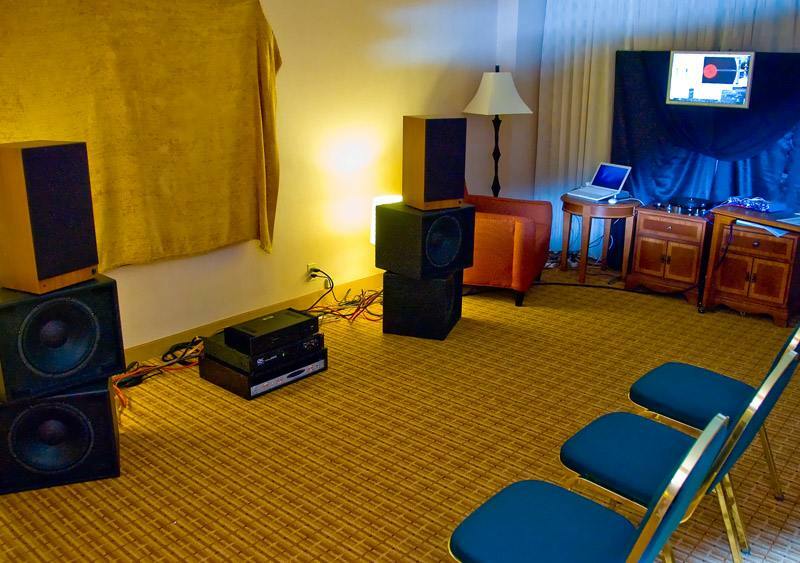 Comments from attendees were such as "I have a $150,000.00 sound system, the sound quality of your demo was incredible, and makes me re-think what I have now." Pure Vinyl 2.3 was honored with a Hitsquad Musician Network Editor's Choice Award! Also, stay tuned for new product announcements in the coming weeks... including an inexpensive recorder/editor software package using Pure Vinyl's "virtual vinyl" paradigm, designed especially and exclusively for making vinyl to CD (44.1 kHz 16 bit) transfers, using standard turntable and preamp setups or USB turntables. Includes new features, usability improvements, and updated documentation. A free update for all users. 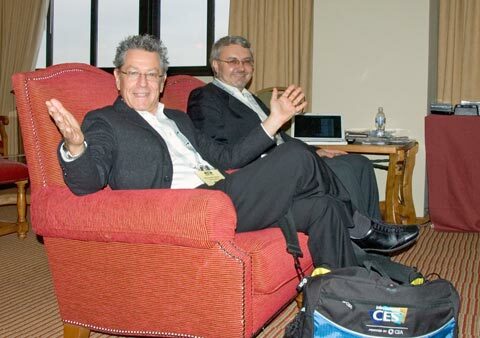 Technical "white paper" on software RIAA equalization, presented at the 123rd AES Convention, may be downloaded here. Slides from a technical "white paper" on software RIAA equalization, presented at the 123rd AES Convention, may be downloaded here. A copy of the accompanying paper will be made available soon. Pure Vinyl 2.1 released! A free update for all users. Comprehensive improvements to the editor, streamlining the track editing procedure. Improvements to the 64-bit upsampler for transparently playing back tracks from your iTunes collection via your high-rez audio interface, up to 192 kHz / 24 bit. New, 10 minute long full-size "screencast" movie showing how to edit tracks in Pure Vinyl, using our unique "grab and spin" virtual vinyl editor. Pure Vinyl 2.03 is released. A free update for all users. Pure Vinyl 2.02 is released (a free, compatibility update for Mac OS X 10.5 "Leopard"). Now includes a free* activation code for Channel D's AudioLeak 2.0 audio file inspector / loudness analyzer / metering software (included with Pure Vinyl 2.0.2 download)! A free update for all users. 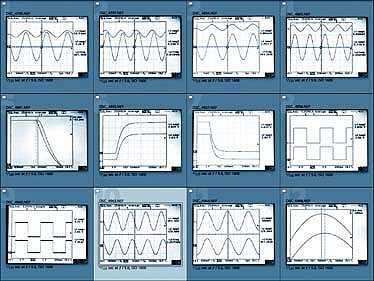 Seta preamplifier performance measurements page updated. We've finally received a shipment of the first production run of Seta preamplifier circuit boards. The bandwidth (-3 dB) isn't 1 MHz. Nope. Input to output, it's greater than 1 MHz. A lot greater, in fact (how much, exactly? We'll save that information for later). We're extremely pleased, and have made extensive measurements (with all potentially bandwidth-reducing input and output protection circuitry in place, of course), that we'll be posting very soon, in advance of our shipping of this ground-breaking phonograph preamplifier. At that time, the specifications, compared to the original October 12 news release posted below, will be (favorably) revised (corresponding with the results from these tests). In addition, we have a couple of important surprise announcements planned for the time of the shipment of the Seta. Click on the image above to see technical measurements of the Seta preamplifier. Why be concerned with reproducing a bandwidth exceeding the conventional 20 kHz audio range? Does audio reproduction involve megahertz frequency signals? The short answer is: No. But, phonograph music reproduction is slightly more complicated. The long(er) answer is that the signals from a vinyl record are pre-emphasized: in other words, the high frequencies are boosted by as much as 20 dB (10 times). This stresses preamplifiers to a higher degree, in the frequency range where preserving signal integrity is at its most difficult. Unfortunately, distortion in the upper octaves can cause intermodulation distortion that also affects the critical midrange, creating what's best described as a subtle "haze" that obscures vital musical details. We have confirmed this during several years spent in developing this product, involving extensive listening evaluations beginning with rudimentary but surprisingly capable "jelly bean" op-amp designs, then finally evolving into a hybrid topology culminating in the Seta preamplifier design, with a bandwidth of well over 1 MHz, even at high gain settings. Click above image for vinyl frequency response analysis example. Finally, the audibility of one of the most maligned deficiencies of vinyl, those irritating "pops and clicks," is a function of and can be exacerbated by the design of the preamplifier. The reason is that the transient signals caused by the stylus striking a scratch or foreign object in the groove have, in addition to large amplitude, a very fast risetime, and are unlike any musical signal. The fast risetime can cause slewing distortion in traditional narrow bandwidth or inexpensive phono preamplifiers, magnifying the audibility of pops and clicks. It doesn't matter whether it's a strictly linear gain stage like the Seta, to be used with our Pure Vinyl software; or a linear gain stage followed by standard passive RIAA phonograph equalization (as in many conventional - and high end - phonograph preamplifiers). The same principles (and limitations) apply. In other words: a preamplifier, such as the Seta, that's capable of reproducing signals with a bandwidth well over 100 times greater than "typical" audio signals, insures that the preamplifier, when working in the audio frequency range, is operating with significantly reduced strain and distortion - the equivalent of a "straight wire with gain" - which is the ultimate goal of all "audio" amplifiers. The dramatic result: Seta unmasks previously hidden details from your treasured vinyl records. 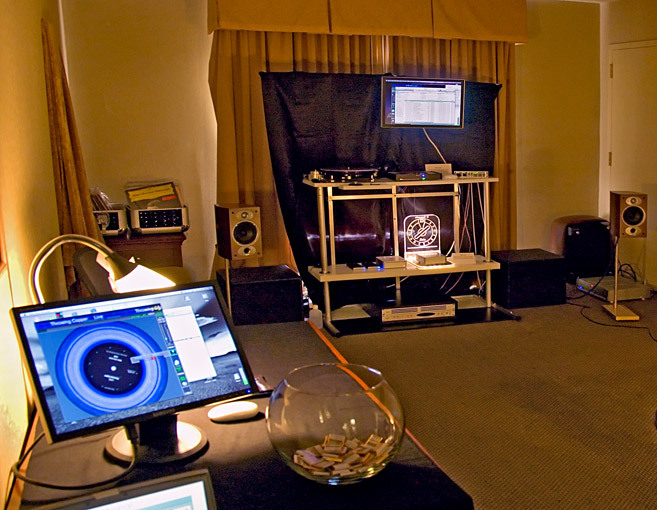 Below: Photos of the Pure Vinyl demonstration room at the recent 2007 international Rocky Mountain Audio Fest, Denver, Colorado. Thanks to all of our Pure Vinyl users who made the trip to Colorado and dropped by to say hello, and listen to our new Seta phonograph preamplifier; and all of our new friends who took the time to have a seat and listen! Renewed consumer interest in pre-digital recordings, such as vinyl records, has spurred efforts to implement playback emphasis compensation in the digital domain. This facilitates realizing tighter design objectives with less effort than required with practical analog circuitry. A common assumption regarding a drawback to this approach, namely bass resolution loss (word length truncation) of up to approximately seven bits during digital de-emphasis of recorded program material, ignores the reconstructive properties of compensation filtering and the characteristics of typical program material. An analysis of the problem is presented, as well as examples showing a typical resolution loss of zero to one bits. The worst case resolution loss, which is unlikely to be encountered with music, is approximately three bits. Note: official reprints of this paper will be provided for the asking at the 2007 Rocky Mountain Audio Fest. Additional copies of the paper will be made available for download pending release obtained from AES in mid - 2008, per their standard Convention Paper procedures. New! Pure Vinyl 2.0 is available! A free update for all users.